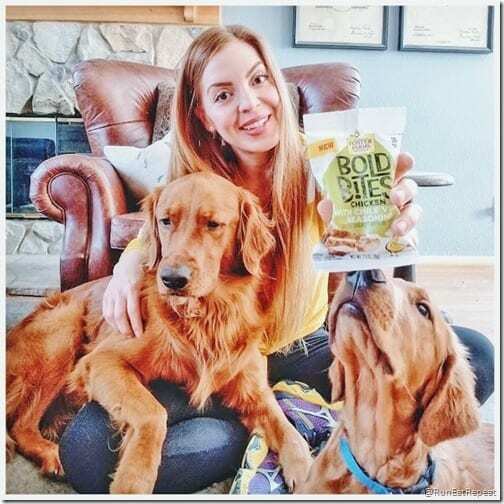 I’m trying the NEW Foster Farms Bold Bites snacks! These are a new food find and I just so happened to have spotted them in the deli meat section of my local grocery store a few weeks ago. I’m a sucker for anything new and snacky so I bought 2 packs. Then it just so happened I was contacted to work with them for this post and got to try all 5 varieties. Done and done! Have you spotted these at your store yet? Lately I’ve been craving savory snacks over my old sugary faves. What?! 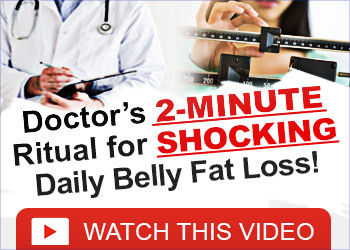 When you listen to your body it can surprise ya! I’m a big fan of intuitive eating – the concept of listening to your body and it’s hunger, fullness and nutrition needs. I think the term ‘listen to your body’ simplifies it too much because it’s more than that. Yes it includes being mindful of your hunger levels and fullness cues. But also – what is your body craving and why is it craving that? Then, how did that snack or meal make you feel? 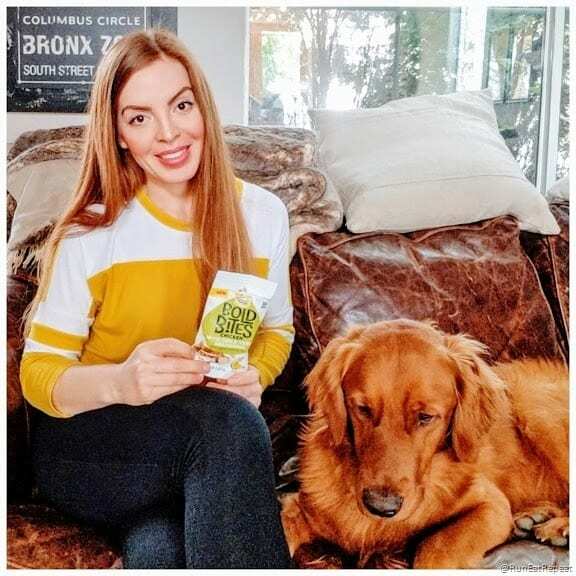 And one of the things I’ve noticed is some snacks are more satisfying, keep me full longer and prevent me from thinking about food and my next snack! Most of the time snacks that work best for me are filled with protein or healthy fats. I feel more satisfied after grabbing something with a good amount of protein. 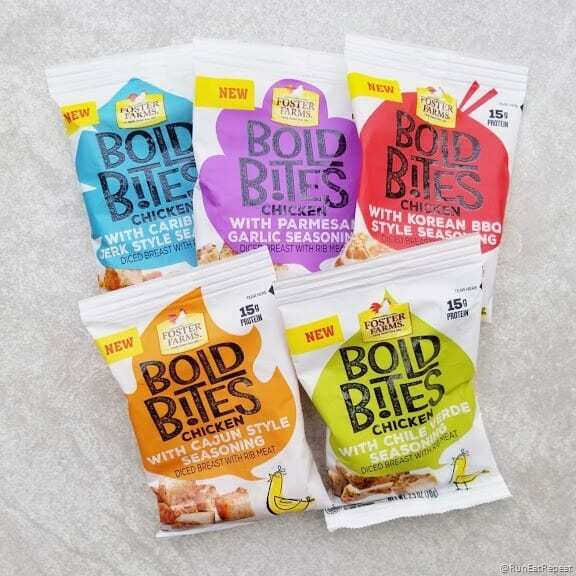 So I’m loving these Foster Farms BOLD Bites. 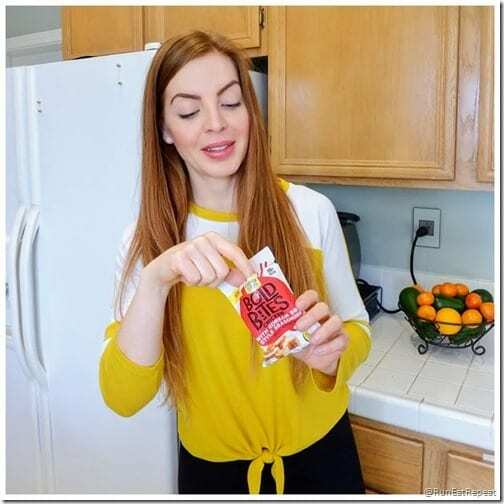 They’re an easy a grab & go snack! I tried all 5 kinds and… yep, I dig all of ’em! 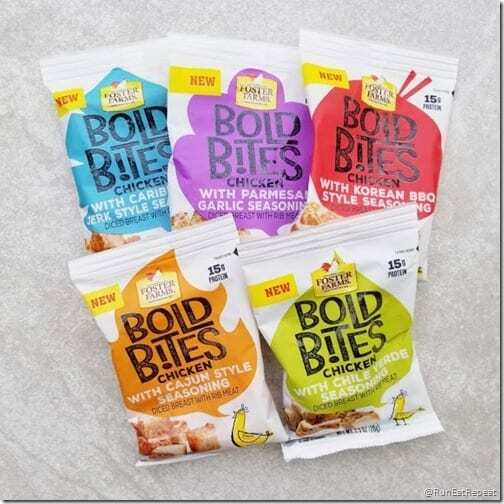 The Foster Farms Bold Bites come in 5 different varieties. I tried them all and wanted to make a list of my favorites from best to least… but I really liked them all. I think the flavor you grab really just depends on what you’re craving. You can get more information on the Foster Farms Bold Bites here. 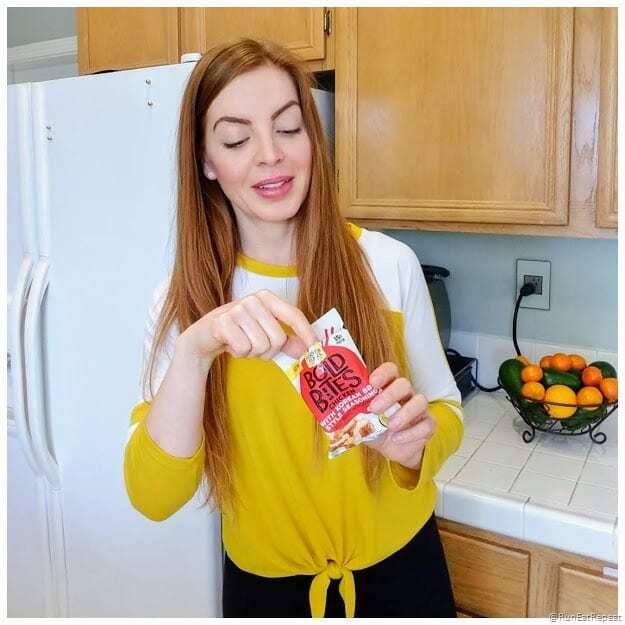 Question: What’s your favorite snack this week? Me: These chicken bites! I’m also digging avocado and crunchy sweet peppers! 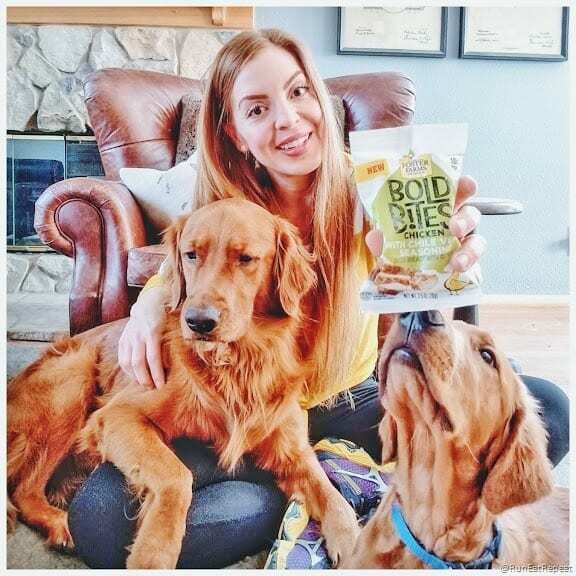 The post New Bold Bites Snack by Foster Farms appeared first on Run Eat Repeat.